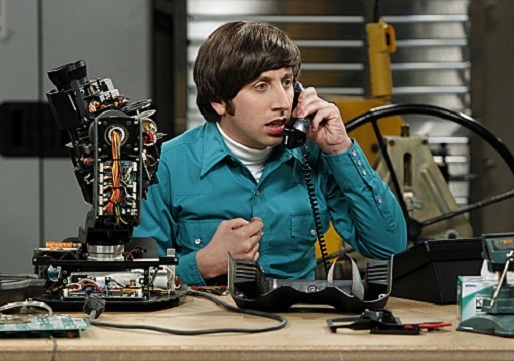 Howard from Big Bang Theory apparently repairs moving head fixtures as well as designing telescopes and toilets for the International Space Station. I’ve been watching my way though series 1-6 on a DVD box set and noticed at the beginning of “The Launch Acceleration” (series 5 episode 23) that he has a disassembled fixture on his workbench. You can even see the colour wheels. Perhaps Howard had been reading my guide to replacing LEDs in the Q-Spot 260.